Farming is a way of life in Nebraska. 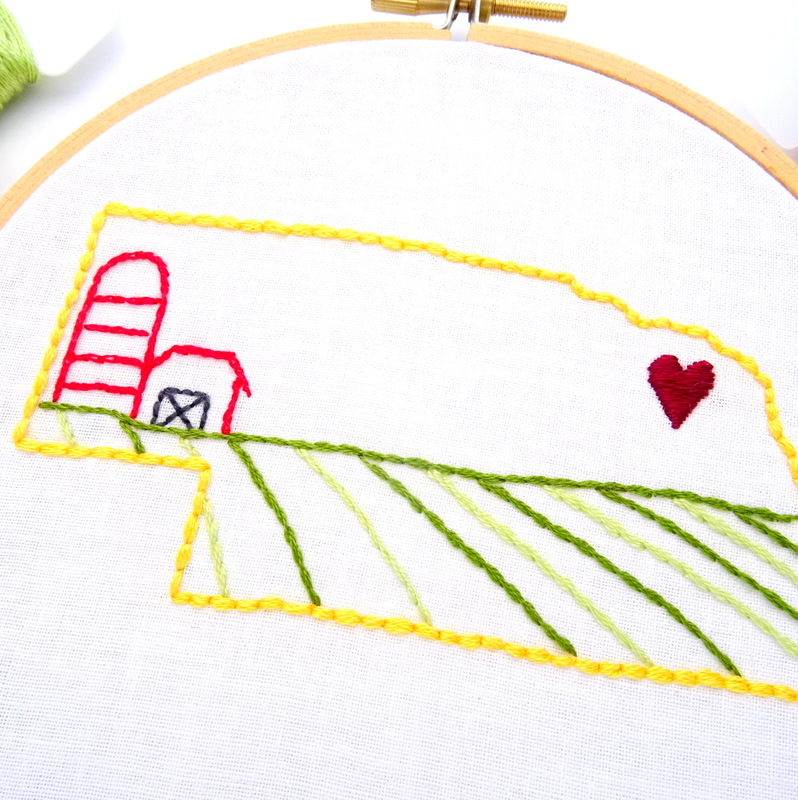 From corn and soybeans to sugar beets and potatoes, farms stretch across the state from east to west. 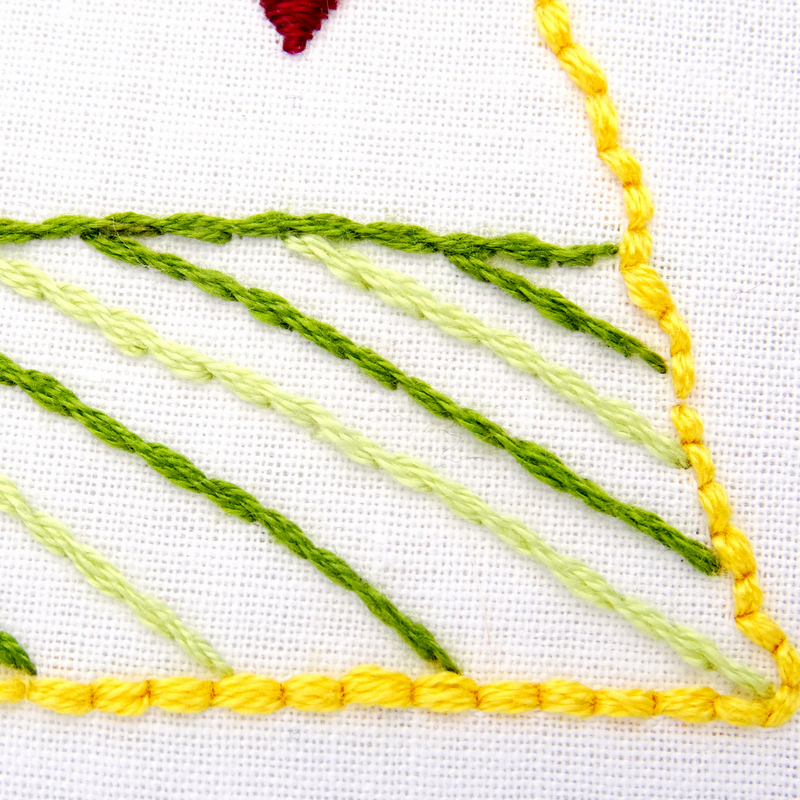 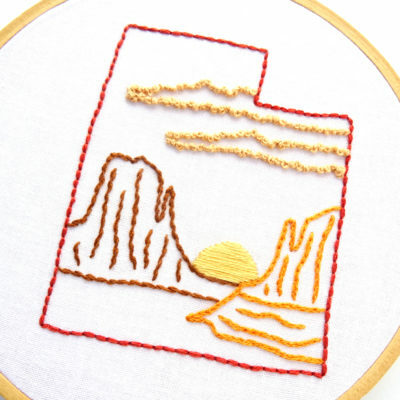 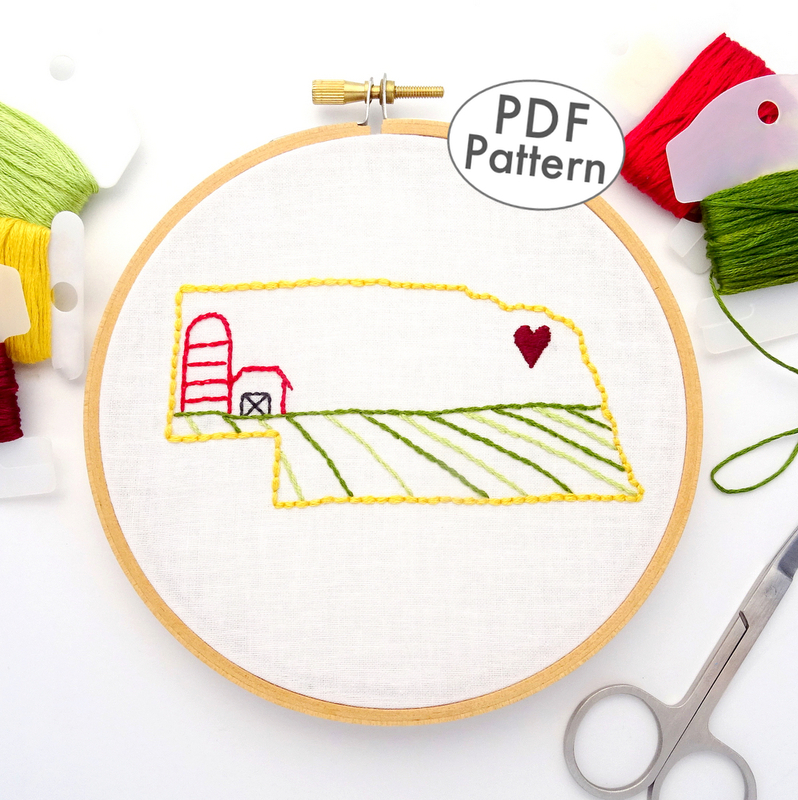 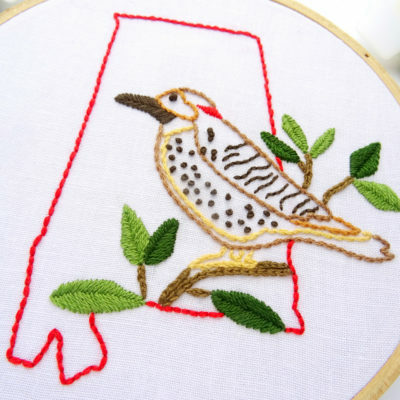 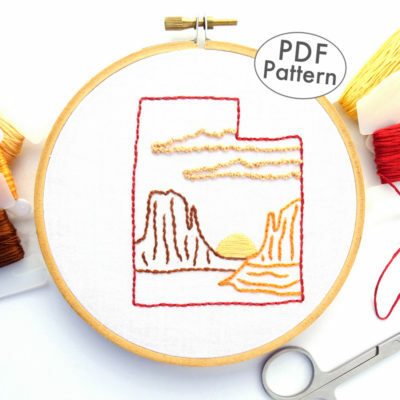 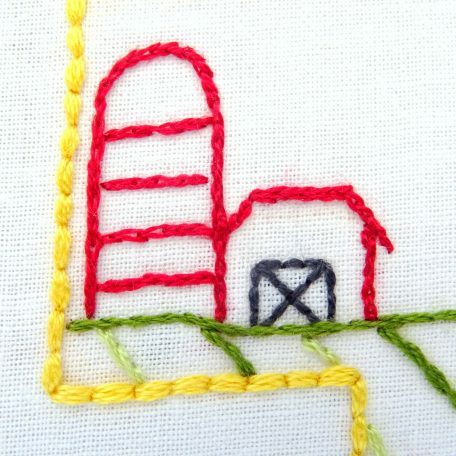 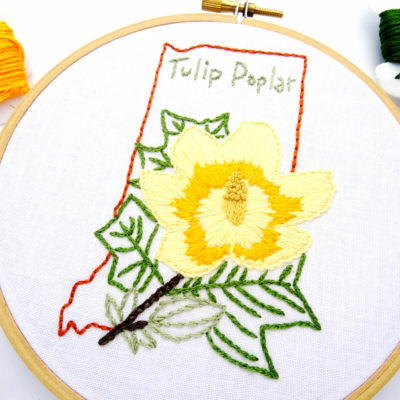 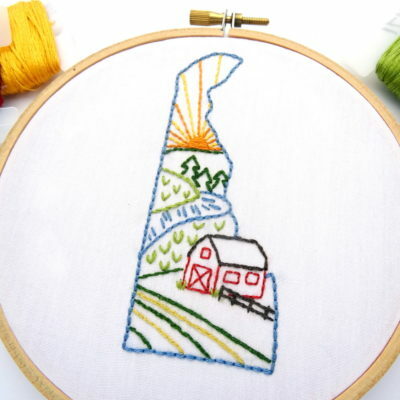 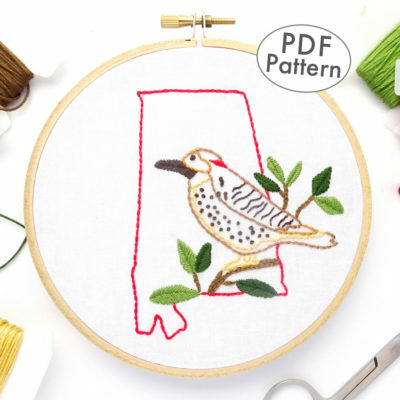 This one of kind embroidery pattern seeks to capture the farming heritage of the state by featuring a freshly planted field and a classic red barn. 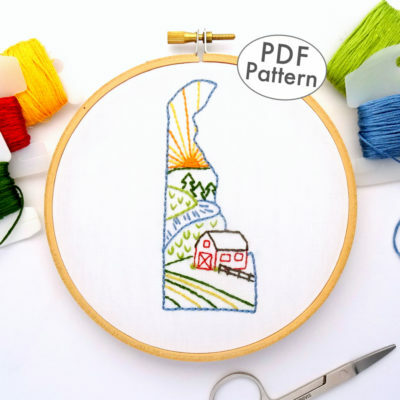 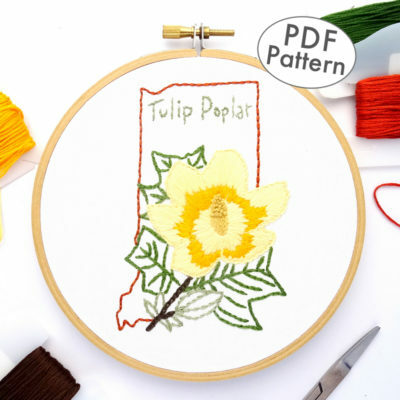 Designed with simplicity in mind, this downloadable PDF pattern uses only four different stitches and is the perfect project for novice and experts alike. 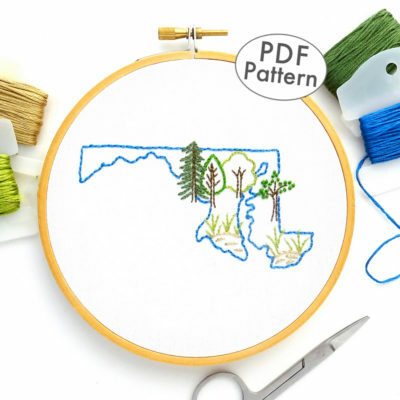 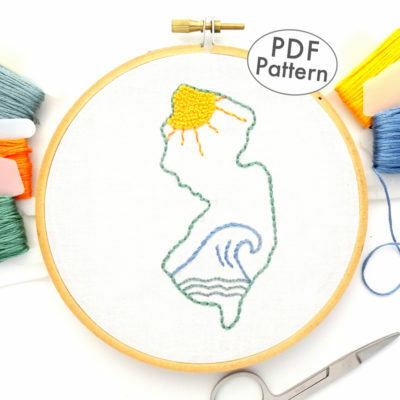 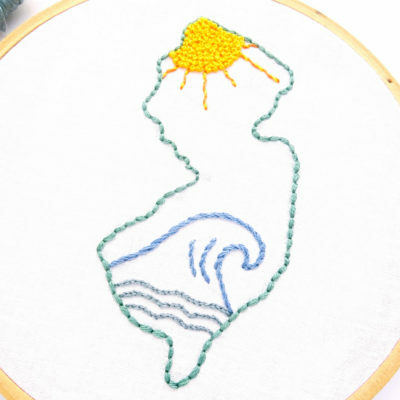 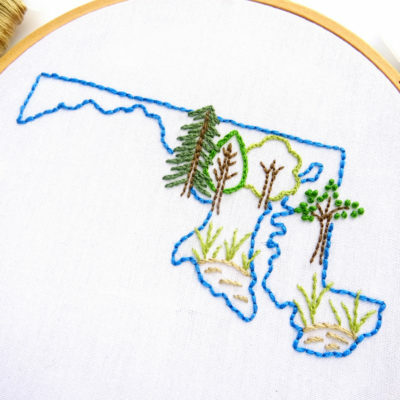 Create your very own version of the Jersey shore with this fun and whimsical pattern featuring a giant wave inside the New Jersey State outline. 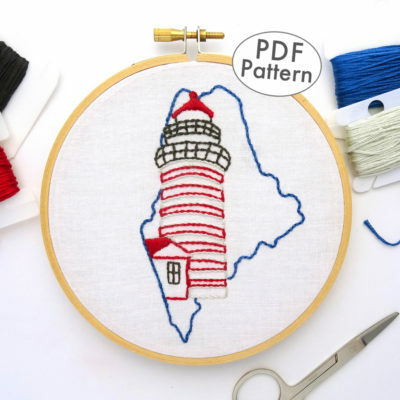 Designed with simplicity in mind, this downloadable PDF pattern uses only a handful of basic stitches and is the perfect project for novice and experts alike. 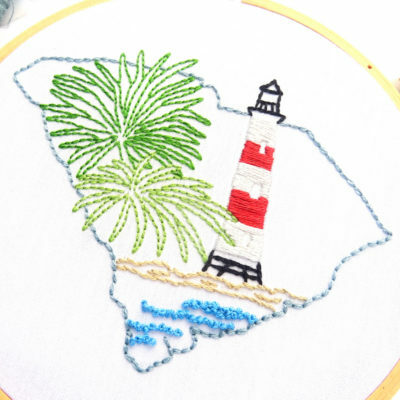 The Morris Island Lighthouse has stood at the southern entrance of Charleston harbor since 1876. 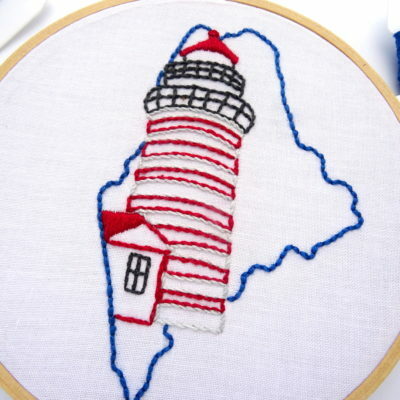 While no longer in operation, the lighthouse today stands as a reminder of days gone by. 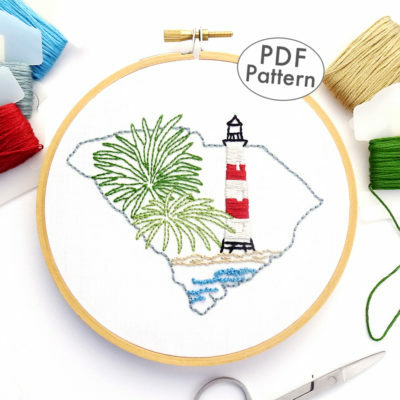 This unique embroidery pattern captures a likeness of the iconic red and white striped tower with water lapping at the shore and palmetto palms waving in the foreground.